What Is The Cookbook Guru? I’m a bit lazy when it comes to curry pastes, finding it easier to buy them pre-made. I always imagined that there was so many ingredients that it wasn’t worth making myself. This idea was only confirmed when I attending a cooking school in Phuket a few years ago and was told by the Chef teaching that they bought theirs in as it was to time consuming to make. Clearly it tells me more now about the cooking school than the recipe, as I found this neither complicated or arduous to make and I was able to source most of the ingredients just at my local supermarket. I’m very glad that I gave Charmaine Solomon’s recipe a try. The end result was delicious and made for a beautiful and delicate green curry. I’d be tempted to use more paste next time to amp up the flavour, but that was an execution fault, rather than an issue with the paste itself. I’m certain that I’ll be trying more of her curry and spice mixes based on the few experiences over the past few weeks. They’ve been really worth the effort. 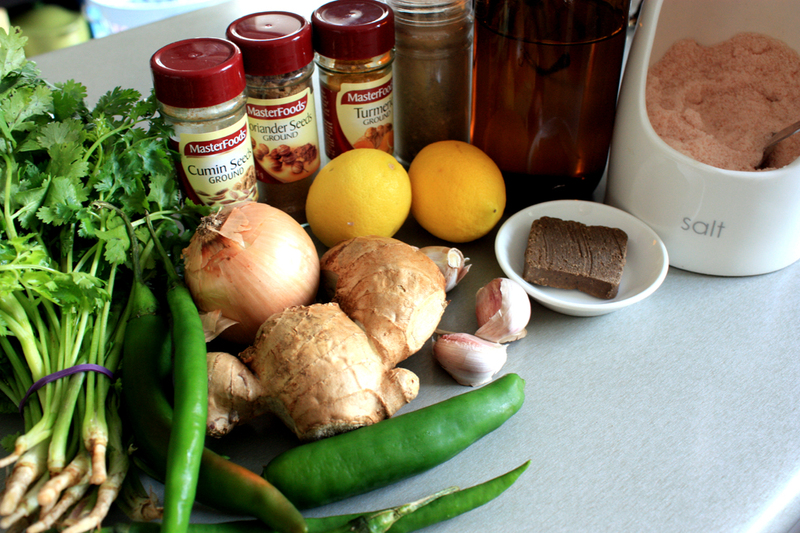 In my view if you have a food processor then you have no excuse not to make your own curry paste. I’m definitely converted. Any extra paste can be stored in a sealed jar in the fridge for use in the next week or so, or if you want to keep it longer, then freeze it and defrost as you need. Remove the stems from the chilles and leave the seeds in if you want the curry paste to be hot. 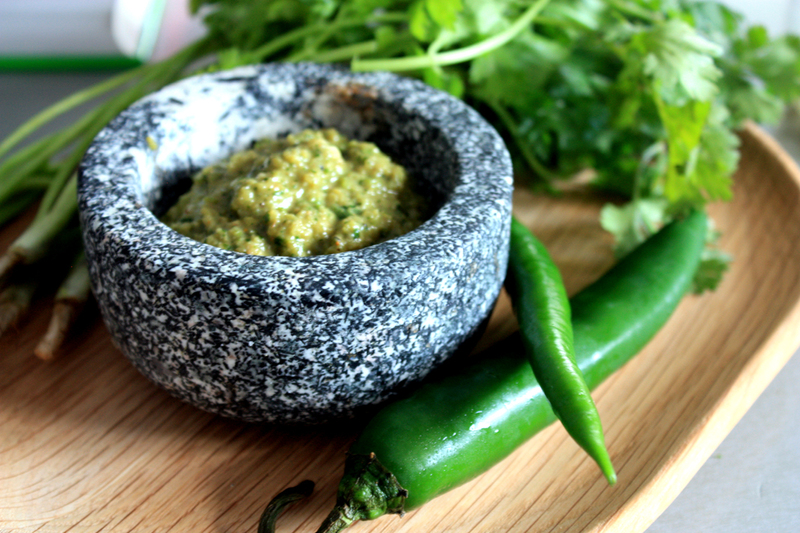 Roughly chop the chillies, onions, coriander and garlic and place into a food processor. Add in all the remaining ingredients and blitz until a smooth paste. If the mixture is too stiff add in a little more oil or some water to loosen it up. This makes approx 1 cup of curry paste. Hi Leah, that does look easy, and as you say, left over paste is easily frozen for the next time.